If I were independently wealthy this is what I’d do. 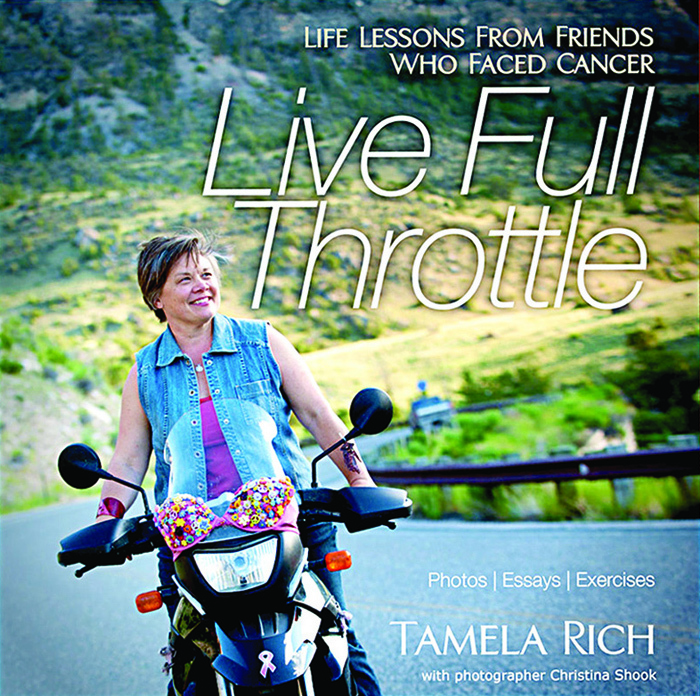 Work with a terrific writer like Tamela Rich photographing books about fascinating and compelling subjects like Live Full Throttle: Life Lessons From Friends With Cancer. 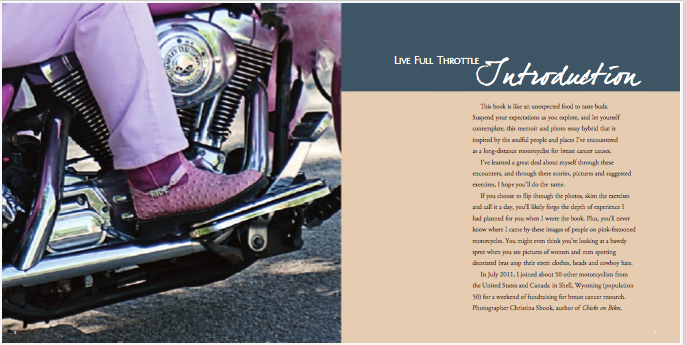 I’m honored to be the photographer of this beautifully written and produced book. 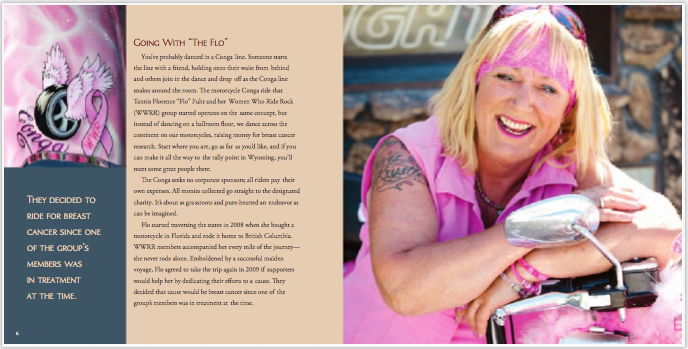 The heart of this story is a ad hoc group of mostly middle age and beyond women – conga riding around the country in blinged out bikes and pink bra’s strapped on every-which-way. They were independently and boisterously raising money for cancer. 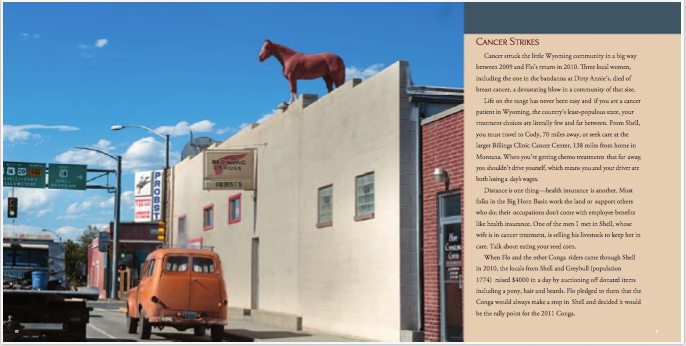 Writer Tamela Rich joined up with them two years ago and collected such inspiring stories and life lessons that a book had to be done. 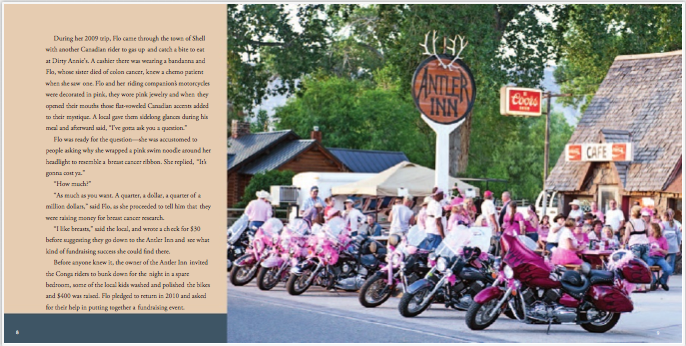 The riders culminate the summer of conga fundraising in the tiny town of Shell, Wyoming which embodies the western ideals of both stubborn individualism and close knit comminity. This principles resonate and parallel with the spirit of bikers as well as the wisdom to be learned from cancer survivors.